Pichets in Paris Publishing - Stories set in Europe - Predominately France: Chateaux of the Loire Valley - two of my favourites. 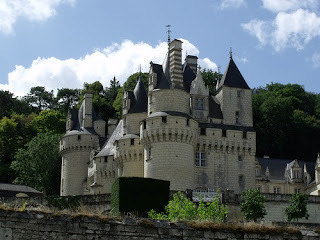 Chateaux of the Loire Valley - two of my favourites. 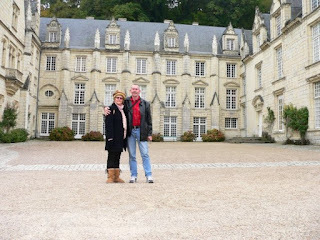 On our last visit to France, we were fortunate to stay a month in the Loire Valley, only a few hours drive from Paris. We stayed in Fontvereau at a B and B run by a couple of English ex-pats. Through them we got to meet some of the locals and were fortunate enough to be there while a film crew was filming for a BBC TV series as Fontvereau is pretty much as it was in the middle ages. 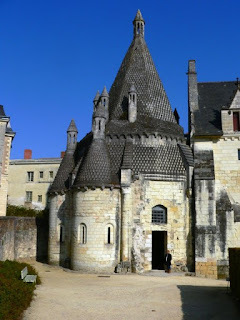 The kitchen at Fontvereau, how middle ages! We visited most of the Loire Valley chateaux, and it is difficult to say I have a favourite as each is different in its own way, depending on what was the purpose behind the building initially. This gorgeous chateau is built so whatever direction you approach it from, it startles you as you appear to be entering a fairytale setting. It so deserves its reputation for inspirating more than one princess story. To me this castle is a fairytale come to life. Its image served as inspiration and sparked an idea for the writer Charles Perrault, one of the original writers of the fairytale Sleeping Beauty. 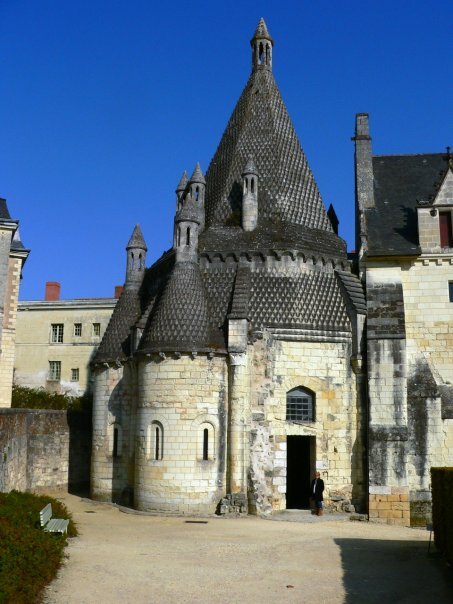 The basis for his story Sleeping Beauty can be linked back to the blue slate roof and gothic turrets of the Chateau d’ Usse which still stand proudly today. It has a nickname, the castle of dreams, naturally. What was it originally built for? It was originally intended to serve as a fortress, but for many it has become the ultimate symbol of a fairytale. If you look closely at the Walt Disney film Cinderella Castle, you will recognise the Chateau d'Usse. 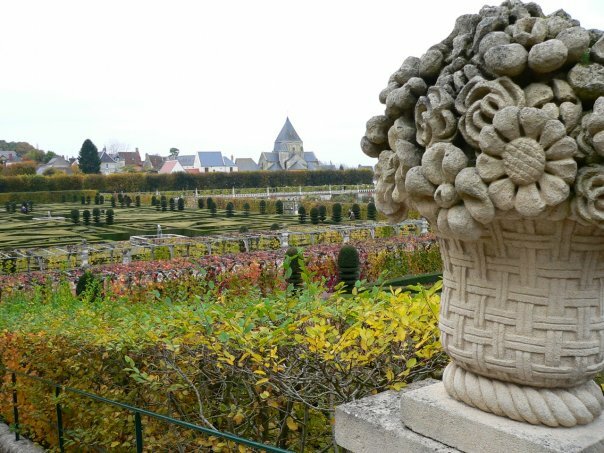 This chateau remains a hot favourite, not just for its eye-popping design, or its amazing vegetable garden, but for the fact that we were taken there by locals who wanted to show it to us. 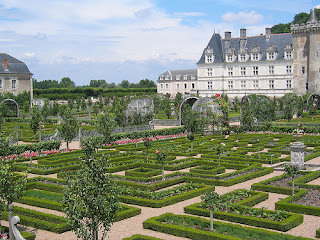 Villandry was built in the 16th century near the Cher River. 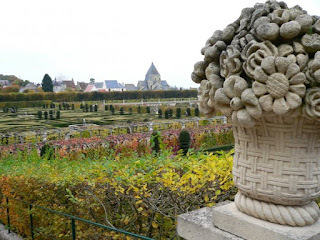 It is not only the beauty of the chateau’s design that draws people to what is one of the most visited castles in France, but the French mosiac gardens surrounding it are simply unbelievable. They are truly the finest example of formal Renaissance gardens in France. 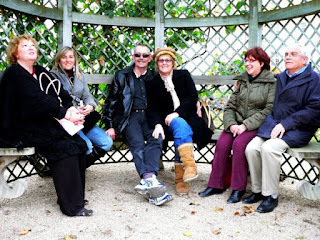 Whenever you travel, it is the people you meet who make days special - nationalities blend seamlessly - here we have, Theresa (English), Sylvie (French), the Aussies, the Germans. There are many more stunning chateaux in the Loire. 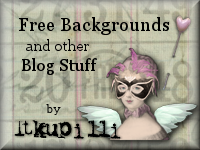 In another post I will share more..
Oh, beautiful! I once had the experience of cycling around this area, though certainly not for a month. I haven't been to Villandry before, but it's certainly on my list now. This was just a fasinating post. I've been to Paris ,but only in the city. 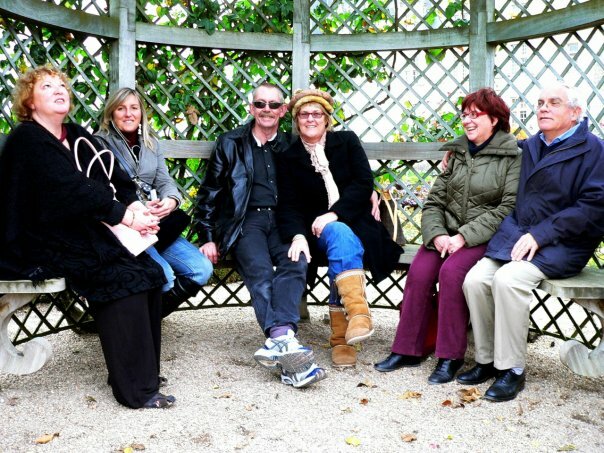 Thamks for the great photo's. It looks like a fairy tale. What gorgeous pictures!! I would give anything to see France. I want to do so much travelling. Maybe one day I'll have enough money to travel and see these places. For now, I'll live vicariously through you. Melissa: You'll get there on the back of your bestseller! Lovely pictures. I haven't been to Loire Valley yet but will definitely visit in the future. Gorgeous! 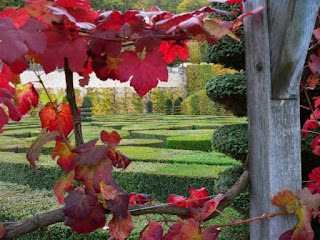 *sigh* All I know is that I miss the beauty of the French countryside.